Actually working at work is so 2012. Show how you're really part of the Disruptive Economy by watching this all day. 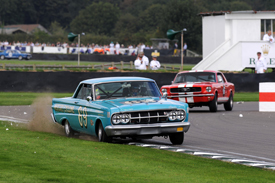 A Ford Falcon just won a race. Go 'Merica! Well... all the cars were from America - the Shelby Cup race for American tin-tops. The Revival has added a full course drifting event.